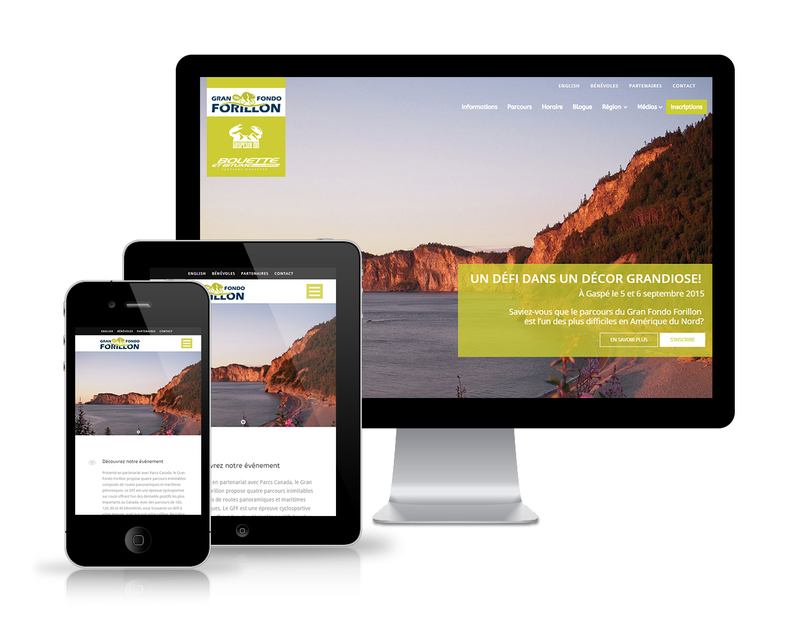 Organized by the Club Vélocipeg of Gaspé and presented in partnership with Parks Canada, the Gran Fondo Forillon offers four compounds with inimitable scenic and panoramic sea routes. The Gran Fondo Forillon is the flagship event on the cycling route for the Festival Bouette et Bitume. For Club Vélocipeg, we have developed a series of three websites, that of Bouette et Bitume (B2) which includes all information about the Festival, Gran Fondo Forillon for the bike portion of road, and the Gaspesia 100 for the bike mountain. Everything is bilingual and compatible mobiles and tablets. Easy navigation has been developed to facilitate access from one site to another.